You must make reservations at least 5 minutes in advance of the time at Slanted Door. A pilgrimage every year during a Spring Business Conference. 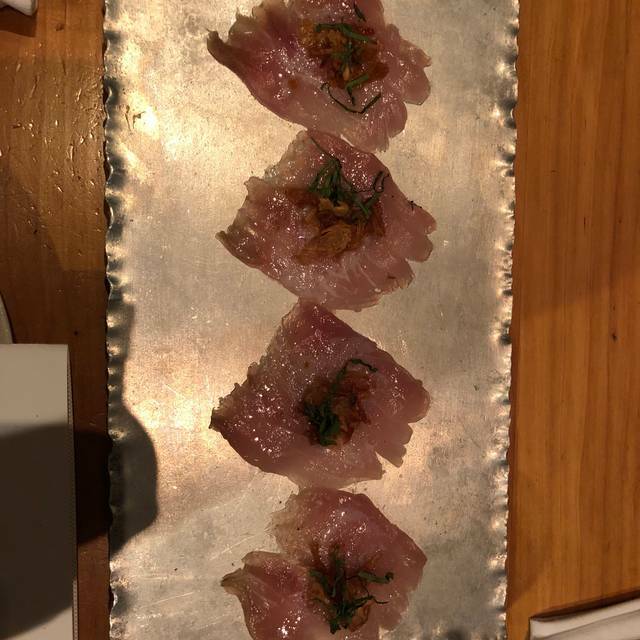 Always delicious-always memorable. Stunning meal start to finish. The food was delicious, great variety and the service was welcoming but not intrusive. Perfection. 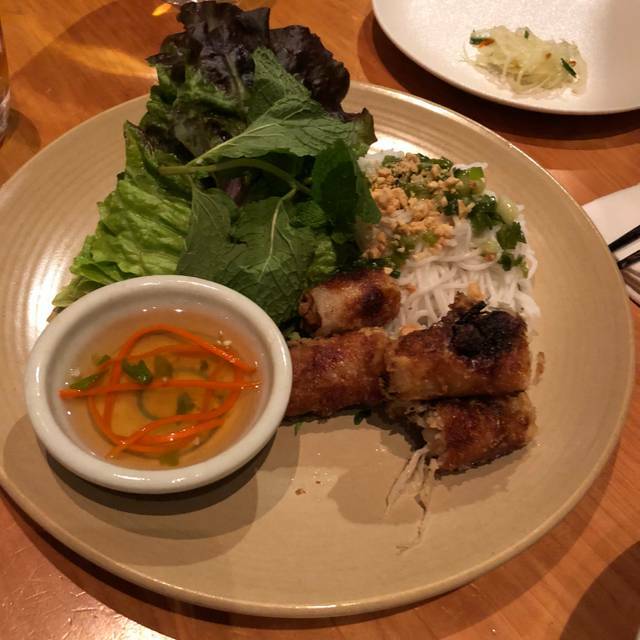 Slanted Door is top notch Vietnamese cuisine served in an amazing venue. The table shared 9 dishes, three of each appetizer, main and dessert. All were spectacular in presentation and flavor. The dipping sauce for the vegetarian spring rolls was a notable stand out. The noodles with crab was a delight, the asparagus was very spicy but delicious and fresh. The celebration cake lived up to its name, it was visionally stunning as well as delicious. The goat cheese cheesecake delivered taste sensations as well, we had the server describe the remains on plate to understand each nuance we indulged on. Just a fantastic experience! Our waitress was not very welcoming or helpful. Great atmosphere, food and knowledgeable staff amidst terrific location of bay bridge. 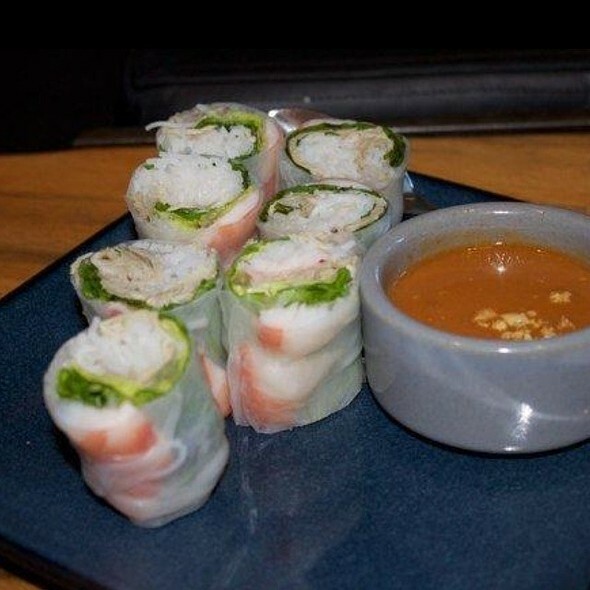 Great spring rolls. Scallops were undercooked and inedible. I used to love Slanted Door. 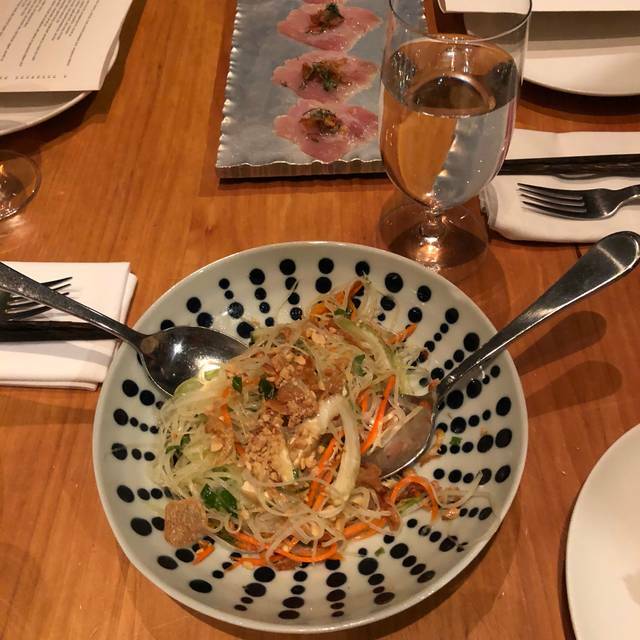 I have traveled around the world and have eaten in many many restaurants and Slanted Door was always one of my top picks. I’m not sure what happened, but this time it was just ok, not great. The dishes were mediocre. I hope they were just having a bad day! We received our first two items within 30 minutes of ordering. It took an additional 60 minutes to receive the other part of our meal. A true disappointment in nearly every way. Crammed tables, big, loud groups, salty food, ribs that were so tough they were hard to cut off the bone, let alone fall of the bone and prices that barely make up for the location. Their signature rolls were dry, the beef was ok, but so little of it, nothing special. Shrimp was good but probably U20s with the tails still on, forcing you to use fingers or leave a big piece behind. Moscow Mule served in a pint galss? The wine we ordered was so bad we couldn't drink it (our fault, not theirs). To add insult to injury, service was slow. I'd rather have gone to PF Changs at half the price with similar quality. 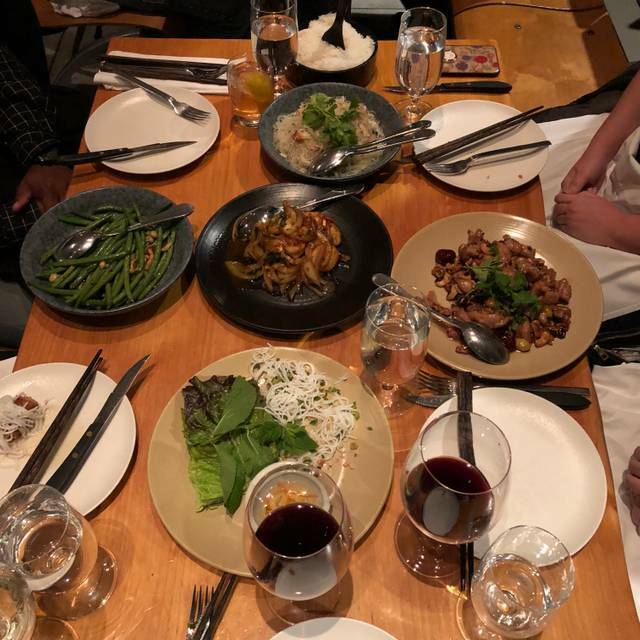 This was my second time at Slanted Door. It is always outstanding. I don't know if this visit was a fluke but we ordered two entrees and about 70% of both entrees were onions. The onions tasted great, but no one likes that many onions, even when they are covered in delicious sauce. 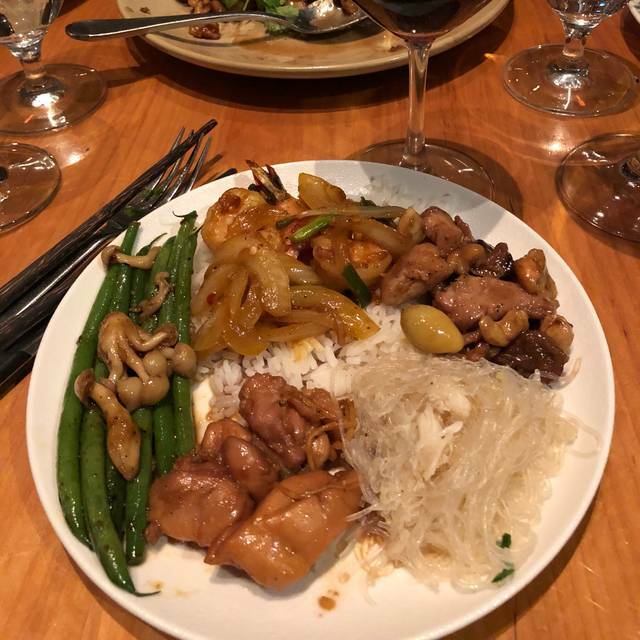 We took advantage of the family style dining and ordered appetizer, entrees, salad, and dessert to create a memorable meal. Our server was knowledgeable about the menu and offered suggestions based on our food preferences. Food is wonderful and location is spectacular but gave it four stars because of the noise level.